Thinking 1440: What a difference Nvidia's PhysX makes! So I came across this article about Nvidia's PhysX and some side-by-side pictures of gameplay with PhysX on and off. There's also a video. Currently I'm using an ATI card, but I think my next card will be Nvidia. If you watch the video you can see how different the game is when having PhysX on and when having it off. 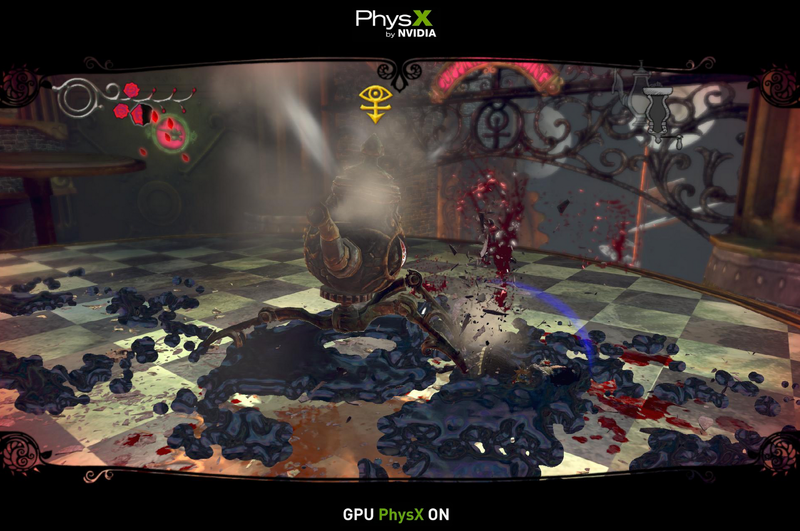 It might not be that amazing to use PhysX for Alice Madness Returns but I can see how in upcoming games this can really enhance the players immersion into the game.